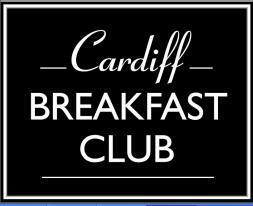 This morning the Cardiff Breakfast Club was addressed by not one but two highly engaging speakers – Suzi Clay, Retail Portfolio Director of Land Securities and Steven Madeley, the Centre Director for the St David’s shopping centre. With the St David’s centre now just over two years old, Suzi and Steven discussed the background to the project, its current trading, and the future of retail in Cardiff. Greeting the large audience with a friendly “Bore da” (although her later jokes about “watching England win the rugby” were more dangerous territory!) Suzi began by introducing Land Securities’ impressive £14 billion portfolio, including 19 retail parks and 24 shopping centres. Land Securities own the St David’s Centre in partnership with both Capital Shopping Centres and Cardiff Council. After 7 years of planning, 3 years construction, and a £675 million investment, the Centre opened its doors in October 2009, and has gone “from strength to strength” ever since. The decision to invest in Cardiff was taken despite 2009’s recognised economic difficulties. A “thriving” capital, Suzi stressed Land Securities’ “confidence in Cardiff”. When many developers would have stopped building, the St David’s team not only carried on but forecast an impressive 31 million footfall. Their confidence paid off; 75% of the 200 units were let before the opening, the centre takes an average £1 million a day, and footfall stands at 38 million – more than Birmingham’s Bull Ring and Manchester’s Arndale. The team was keen to develop a centre that would bring Cardiff “into the Big Leagues” of UK retail. Indeed, the city has moved from 10th to 6th in the UK’s retail ranking, and is shortly expected to overtake Liverpool. However, equally important was to develop a centre that would enhance and celebrate Cardiff itself. Alongside improvements to the city’s retail offer, bringing new brands and a new department store, was the desire to create a “sense of place” that was of real benefit to the city. Construction created 2000 jobs, introduced apprenticeships and encouraged local labour, and 4000 jobs have been established within the centre. The centre’s architecture celebrates the city’s history by mirroring Cardiff’s much-loved arcades, and John Lewis and the library have become modern-day Cardiff landmarks. Lettings currently stand at 93%, although Steven stressed that in the dynamic world of retail this could easily be “95% by lunchtime”. The mix of retailers is vital to the Centre’s current and ongoing success, with Steven preferring to “play the long game” and hold out for the right brand. Steven acknowledged that a centre of this scale comes with challenges, notably the car park, which was improved to ease congestion caused by concerts at the nearby Motorpoint arena, and managing the ongoing building works as new openings are fitted out. However, Suzi emphasised Cardiff’s status as an “extremely important asset” in the Land Securities portfolio. The St David’s Centre is not only an asset to the city, now a world-class retail destination, but also to those of us who live and work nearby, and has a very bright future. Excellent news for the job sector in Wales!